Do not let a little vegetation prevent you from venturing outdoors or allow easily solvable tasks to dampen a camping experience. 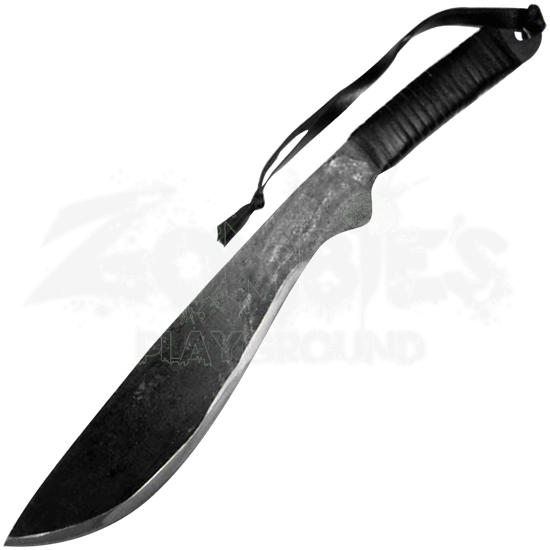 Designed for strength and utility, the Stonewashed Kukri Machete is a useful tool for the survivalist. 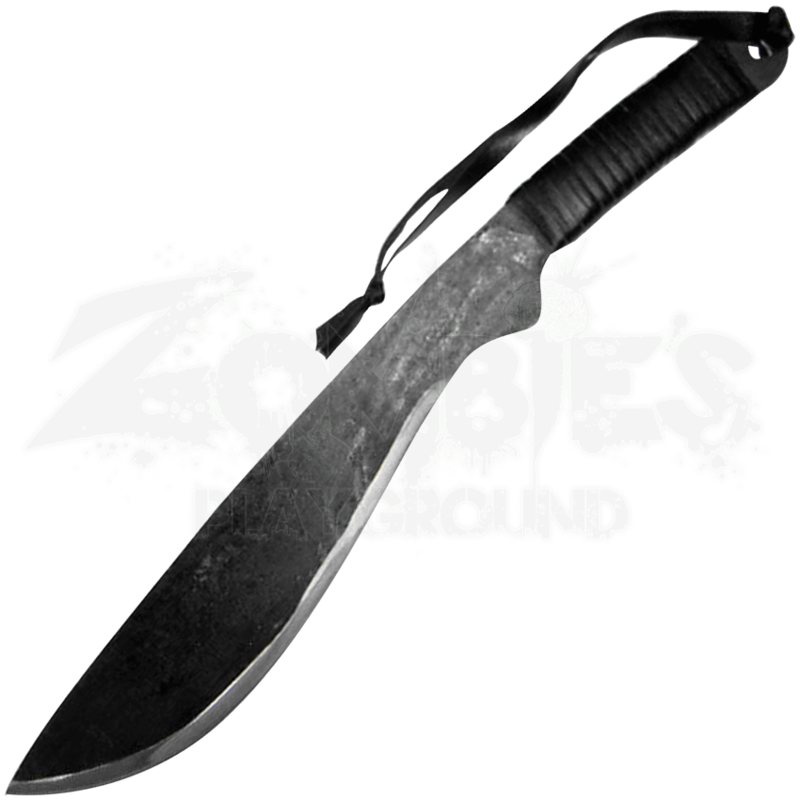 Crafted from stainless steel, this bush hog machete easily chops through medium vegetation and assists in completing daily tasks. A distressed stonewashed finish gives the full tang blade a battle worn appearance while a black faux leather wrap enhances the grip. A rustic burlap sheath is included for convenient carry and storage.